The Butterfly Rainforest at the University of Florida’s Museum of Natural History is an amazing place. I should be embarrassed to write I just visited for the first time! As part of a board retreat for the Florida Wildflower Foundation we spent a day at the museum, discussing future plans for the Wildflower Foundation. It was a special treat to be able to enjoy a tour of the facilities with Dr. Jaret Daniels before beginning the meetings. 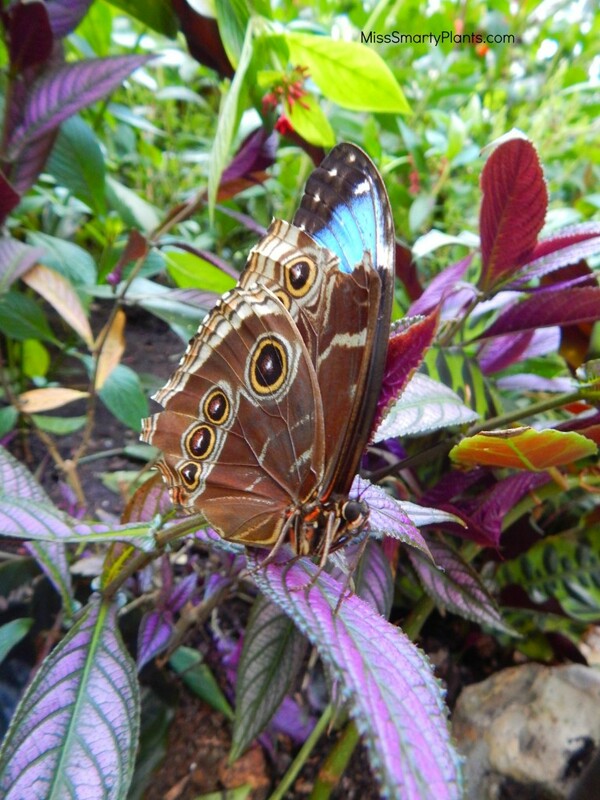 The Butterfly Rainforest is a 6,400-square-foot screened exhibit exposed to typical Florida weather conditions. 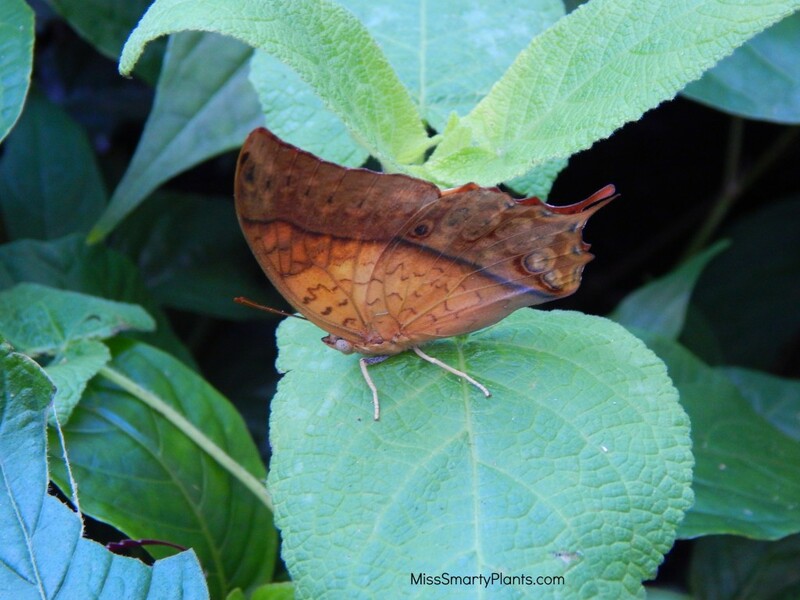 On the day we visited the temperatures were cool and the butterflies were not quite as active as on a warm day. Since I wanted to take photographs, I actually thought this was a wonderful thing! 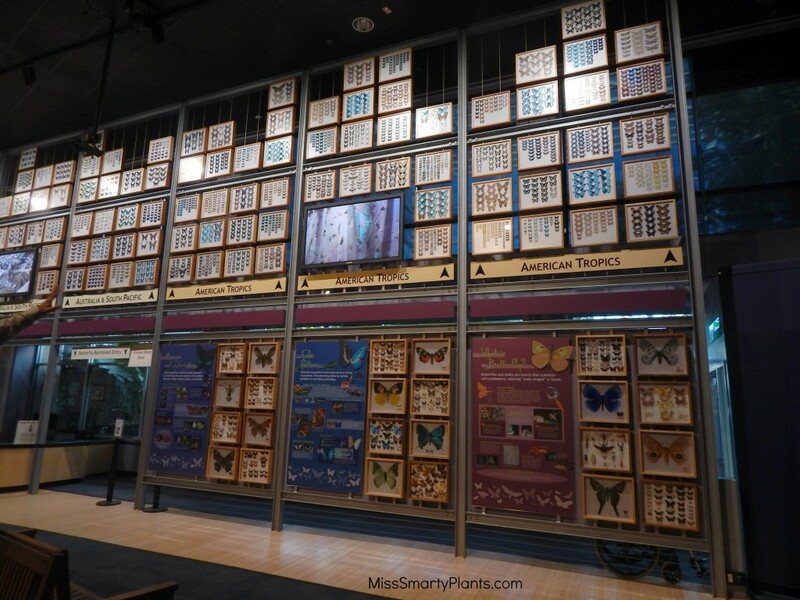 Upon entering the museum and walking toward the Butterfly Rainforest, guests are greeted with a wall of beautiful butterflies. I was amazed to learn these are not actual collection cases, but rather digital scans of real specimens that were painstakingly combined into these panels. Since butterflies will fade over time, these displays can simply be reprinted without sacrificing any more real butterflies. 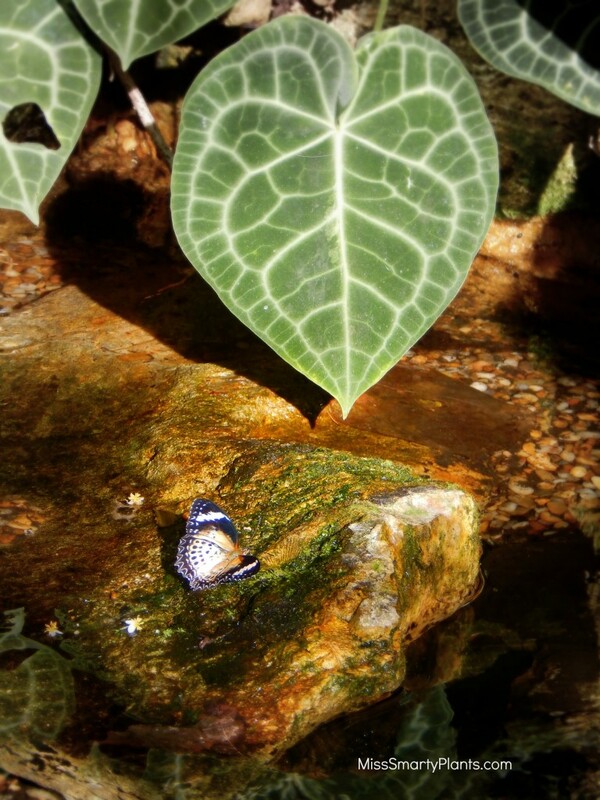 For specific Butterfly Rainforest visitor information I suggest you visit their official page. It has all of the nitty gritty details as well as really great activities like a Chrysalis Cam and Canopy Cam. Warning: These are both seriously addictive to watch. Outside of the actual Butterfly Rainforest is a “Rearing Lab” were you can observe the most stunning collection of chrysalis just waiting to hatch into gorgeous butterflies. Side note: Are you asking yourself if “chrysalis” is the same thing as a “cocoon”? Ask any school age child and she will tell you all about the butterfly life cycle, including the chrysalis. 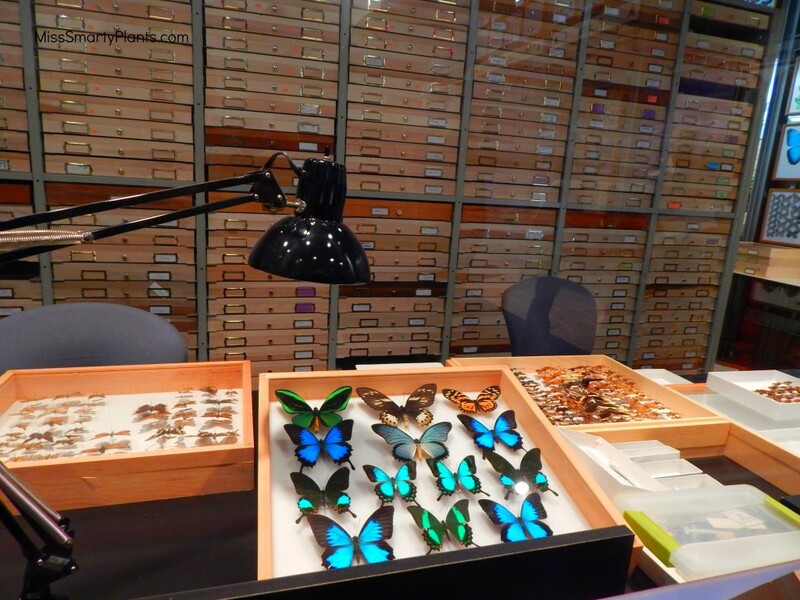 In addition, around the corner from the entrance visitors can see scientists working on different projects, including the daunting task of digitizing all of the Museum’s collections. 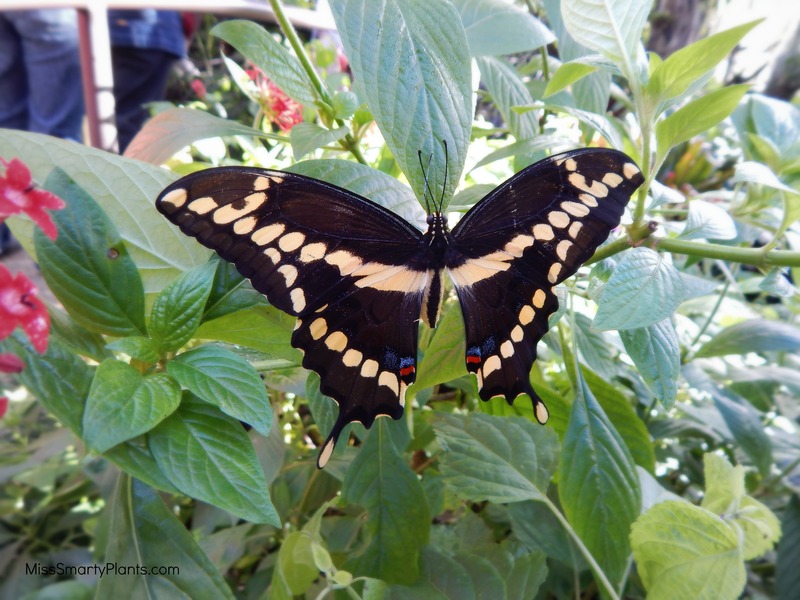 The team at the University of Florida makes a very conscious effort to review all of the plant material being grown in the Butterfly Rainforest to make sure it does not include any plants that might serve as a potential food source for caterpillars. The goal here is not to rear caterpillars, but to showcase the adults. In fact, all plant material leaving this facility must be incinerated to ensure no exotic species are escaping and entering the natural environment. 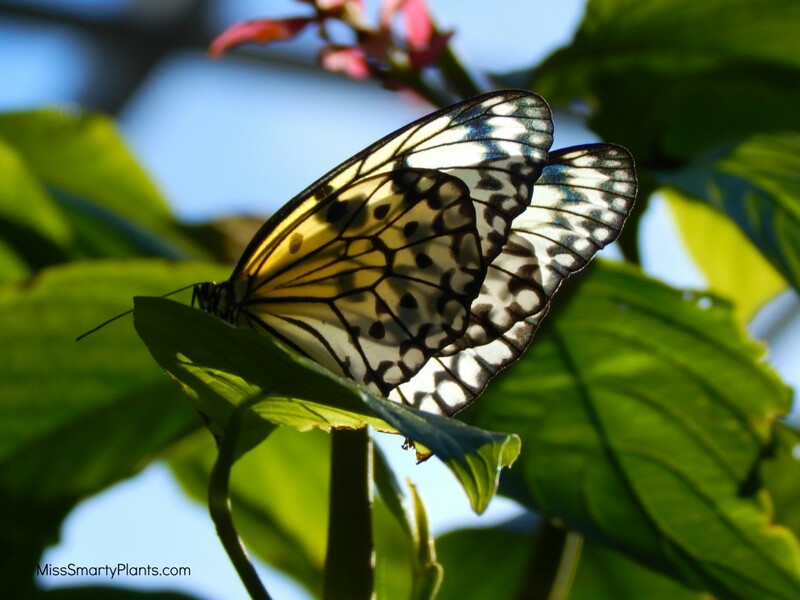 For this reason, unlike most butterfly gardens, you will not see half eaten plants. 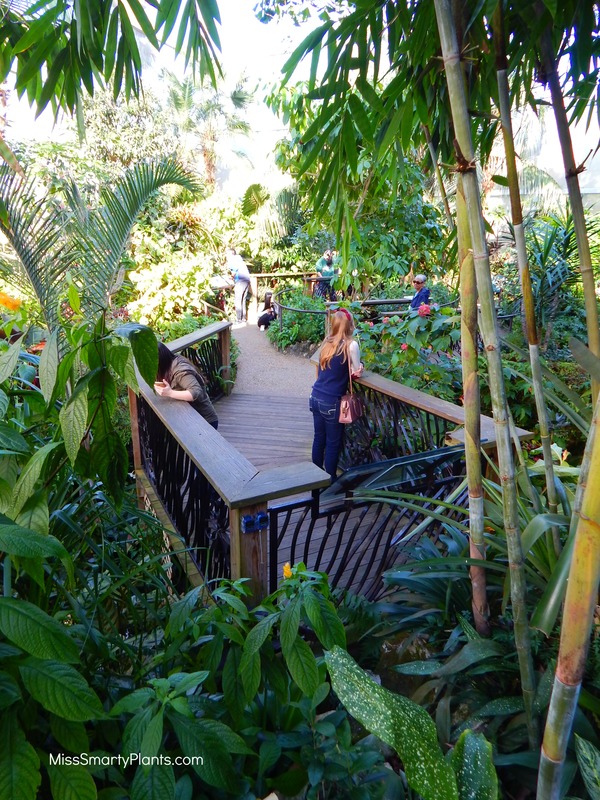 The tropical plants in the Butterfly Rainforest are very well maintained and varied. 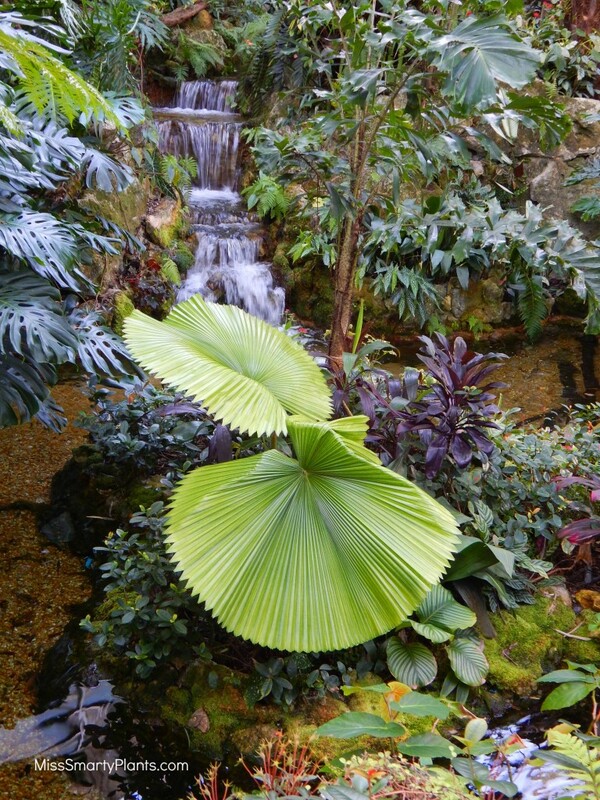 This Licuala Palm is very tropical and just perfect for this environment. The overall design is kind of like a sinkhole, with pathways that guide you throughout and water flowing everywhere. Dr. Daniels mentioned that the winter season is particularly difficult for growing enough nectar producing plants for the needs of the butterflies. 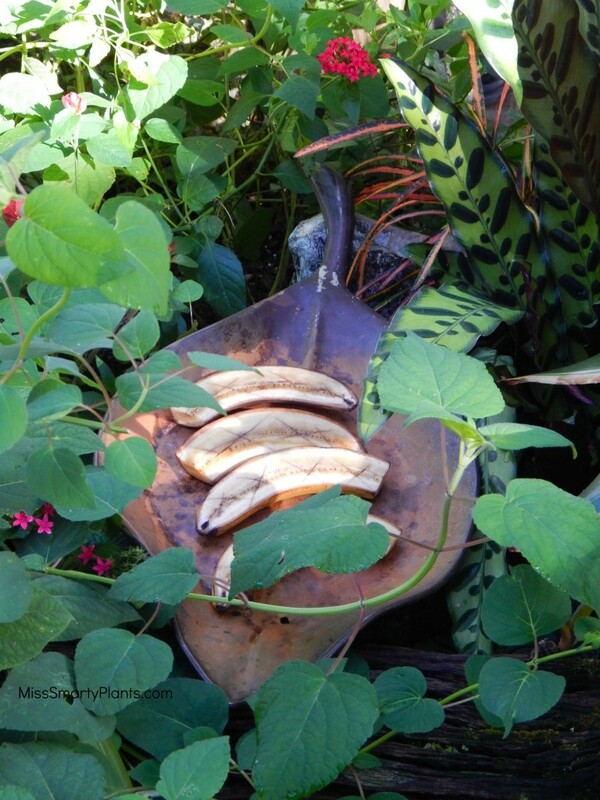 For this reason, there are several banana feeding stations throughout the Butterfly Rainforest. During a late afternoon walk through I did see several species feeding off these options. I’ve been slightly obsessed with the Atala butterfly since I first learned of its disappearance. I planted 12 coontie plants at the end of our driveway five years ago with hopes that some day we might see Atala caterpillars. That hasn’t happened yet but at least I’ve finally seen my first live Atala butterfly. I was also quite happy to see a Morpho Butterfly. According to the Rainforest Alliance, “Their vivid, iridescent blue coloring is a result of the microscopic scales on the backs of their wings, which reflect light. The underside of the morpho’s wings, on the other hand, is a dull brown color with many eyespots, providing camouflage against predators such as birds and insects when its wings are closed. When the blue morpho flies, the contrasting bright blue and dull brown colors flash, making it look like the morpho is appearing and disappearing.” While you never want to see a butterfly missing part of a wing, I thought it was pretty neat to see this morpho butterfly with both the blue and camouflage showing at the same time. 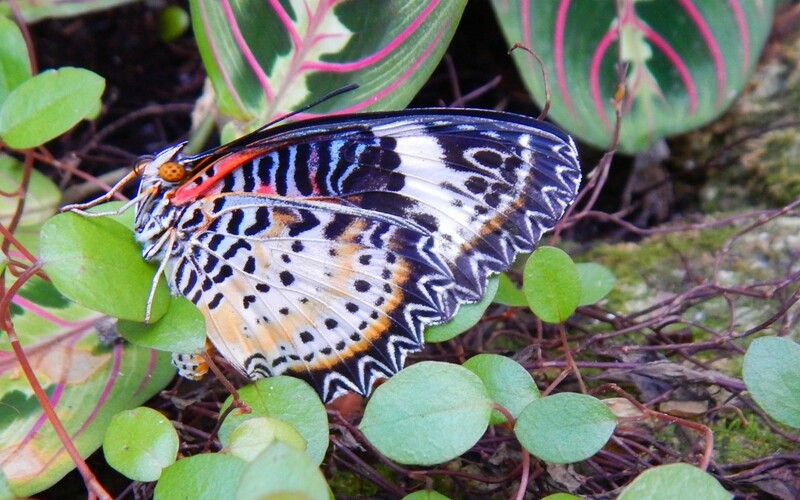 So go ahead, get your visit to the Butterfly Rainforest at the University of Florida on the calendar. Leave yourself at least an hour to enjoy the live butterflies and time for other activities in the museum too. 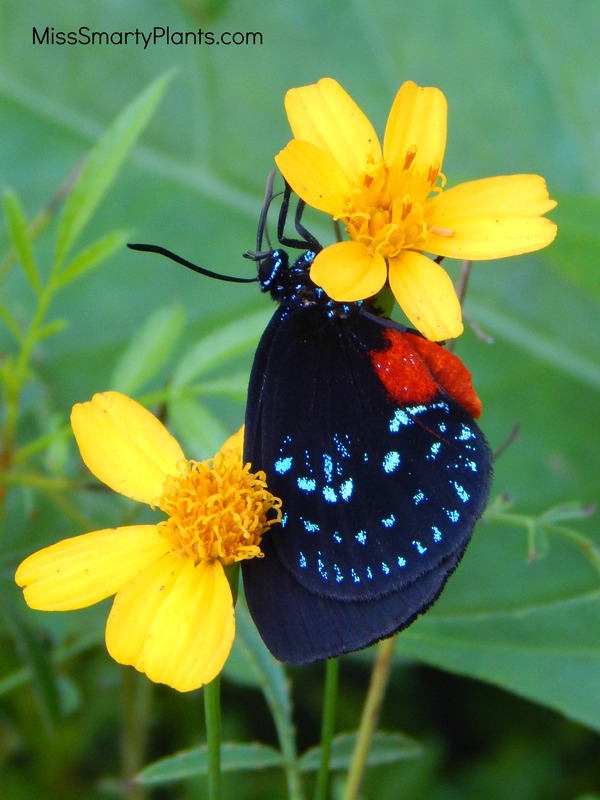 The beautiful butterflies, gardens, and knowledgeable staff are sure to make this a great visit.